Sometimes your face could use a helping hand o to get the blood flow going and relieve the puffiness. Using a moisturizer or light oil, lightly massage your face with your fingertips in a gently circular motion. Start at your forehead and slowly work your way down under your eyes, then to your cheeks, jaw and neck. Repeat several times. 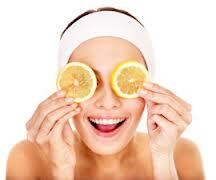 The best way to get your face looking fresh and invigorated is to schedule your next appointment with us! Book easily online, or give us a call at 703.496.2066.